The Navy Records Society has been publishing high-quality collections of naval documents since 1893. I’ve just received a copy of its latest volume, The Naval Route to the Abyss, and could not help but be impressed. Or perhaps I should say, “more impressed than usual”. This new collection is a collaborative venture between two distinguished scholars of the Imperial German Navy – Frank Nägler and Michael Epkenhans (who contributed an excellent chapter to my Naval Mutinies book) – and a leading expert on the Royal Navy – Matthew Seligmann. Unlike previous volumes from the Society, which drew almost exclusively from British archives, this one contains over 150 documents from both British and German sources, the latter very helpfully provided in English translation. The first thing that struck me about this volume, which examines the Anglo-German naval race (1895-1914), is that it proves beyond any reasonable doubt that this was a genuine armaments competition and not simply a scheme cooked up by Admiral Fisher for budgetary advantage, as one revisionist scholar has controversially suggested. Indeed, the documentary evidence is quite clear that British and German naval authorities viewed each other with real suspicion and were apprehensive about the threat that the other side posed to their own plans and security. Thus, contrary to claims from some “revisionist” historians, it was not France and Russia that drove British naval policy in the early years of the twentieth century, but Germany. And rightly so! If the volume offers clear proof that the British Admiralty saw Germany as the decisive threat after 1901, it is even more evident that for Germany (and especially Tirpitz) the Royal Navy was always the intended target. Of course, this will comes as no surprise to anyone who has read the latest scholarship on the German navy and Kaiser Wilhelm II’s foreign and defence policy, but it underscores the point that in recognizing this fact – and doing so early on – the British naval authorities were merely reading German plans and intentions correctly. Little wonder then that, having correctly understood what Tirpitz was trying to do, they sought strategic and military countermeasures. The other thing that immediately struck me about this volume is how nicely the documents support the arguments I advanced in my two recent articles in War in History. 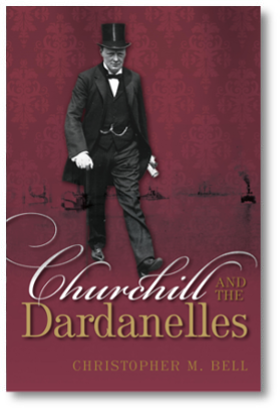 There is no shortage of reliable evidence that British naval standards were decisively shaped by developments in the Mediterranean during Winston Churchill’s tenure as First Lord of the Admiralty. The documents also support the position taken by David Morgan-Owen that the threat of German invasion was not a chimera, but had real purchase on the plans for mobilisation and deployment of the Royal Navy as well as on their operational thinking. In all of these areas, the battle fleet, not flotilla craft or submarines was the designated engine of safety. Finally, I think it is worth noting that the volume also contributes to recent debates about economic warfare. German views on the international legal framework that should be created at the conferences at The Hague and London show clearly a desire to exploit British vulnerability where possible. To this end, Tirpitz was not prepared to sacrifice the navy’s offensive potential even if this came at the cost of adding to Germany’s defensive problems. The British also gave close scrutiny to using economic warfare as a weapon against Germany. However, the evidence presented here does not sustain Nicholas Lambert’s recent hypothesis that the Admiralty saw economic warfare as a wonder weapon that would destroy Germany’s war-making potential in a matter of weeks. In fact, it suggests quite the opposite: that economic warfare would take time to work and that Britain, too, might pay a price from it. All in all, this is a very useful volume that scholars will find invaluable for years to come. Highly recommended.